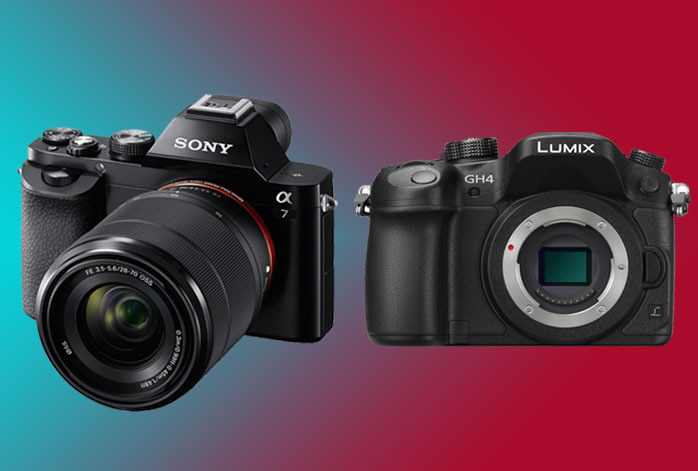 If you have prepared a budget around two thousand bucks for a mirrorless digital camera along with some equipment, then you are most probably considering to get either Sony a7 or Panasonic GH4. Sony a7 is indeed an extremely popular product on the market. A lot of people love it, along with its siblings. The extensive features and specifications are just too attractive, making the price seem to be a very fair cost. However, there is also Panasonic GH4, which can serve the purposes that can’t be handled by Sony a7. Which one should you choose? Let’s see the comparisons to answer the question! Panasonic GH4 is the way to go if you need a strong camera that can capture fast-moving objects and also record high-quality videos. Even though it is only armed with a 16MP image sensor, it offers a reliable performance that can serve your heavy duties. It provides an extreme continuous shooting speed of 12 fps! Combined with the unlimited buffer capacity, you can snap pictures after pictures in no time. The next great thing about Panasonic GH4 is that it records 4K Ultra HD videos at a satisfying frame rate of 30 fps or 24 fps. Thus, Panasonic GH4 is awesome for shooting or recording fast-paced actions and sports. It is also arguably more versatile than Sony a7. It has a touchscreen for control. - High-end hybrid mirror-less interchangeable lens "LUMIX GH4"
If you are certain that you don’t need high speeds, then you can opt for Sony a7, which offers astonishing photo quality. However, if you want something that is more versatile and can be used for continuous shooting, then choose Panasonic GH4!